William Paterson is credited as a signer of the Constitution of the United States of America, an Associate Justice of US Supreme Court and a New Jersey statesman. In 1770, he became the second governor of New Jersey. His period as a governor ended after a span of three years. He was born on 24th December 1745 in Northern Ireland. When he was two years old, he moved to USA. At the age of 14, he joined Princeton University. He went through law education with Richard Stockton, a prominent lawyer, and later was admitted to the bar. The admission was done in the year 1768. He was a great supporter of the American Independence. In his early age, he became a Somerset County, New Jersey delegate through selection. As a delegate, he served the first three Provincial Congresses where he came up with the New Jersey State Constitution in 1776. After the freedom/independence of the United States of America, Paterson became an Attorney General who maintained law and order. It is at such a time that he established himself as the USA most prominent lawyers. He attended the Constitutional Convection in Philadelphia. In this forum, he came up with the idea about unicameral law body, with similar representation from every State. This proposal was a New Jersey plan. There was however a great compromise based on his argument for an equal system of authority. That notwithstanding, the Constitution got signed. This happened after the Senate and the house or representatives complied to have equal representation for every State. As time went by, William Paterson rose to become one of the greatest and the first United States of America's senators from the New Jersey. In addition, he supported Federal party. As a strong nationalist and a member of the Senate Judicial Committee, he took part in the drafting of the Judicial Act of 1789, which laid a foundation of the Federal Court System. Most importantly, he wrote the first nine laws of this Judicial Act. In the year 1790, William Paterson resigned from being a Senate of the United States of America and thereafter succeeded William Livingstone as a governor of the New Jersey. While on the governor seat, he became more interested with pursuance of legal issues. To enforce this, he confided the English Statues, which was in the New Jersey before the Revolution of New Jersey's State laws. He made changes of chancery and common law court rules. These were in later times adopted by New Jersey. When he gave his governorship post, he became an associate of the United States Supreme Court. He held this position for a period of thirteen years. His main task was to preside over trial of individuals accused of treason in Whiskey Rebellion. It is during this period that he actually applied the rules he helped to write into task. 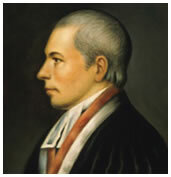 William Paterson served on the Supreme Court for the rest of his life. His services came to an end in the year 1806. He died on 9th September 1806 at Albany in New York at the home of his daughter and son-in-law Van Renssalaer and was laid to rest at the age of 60.